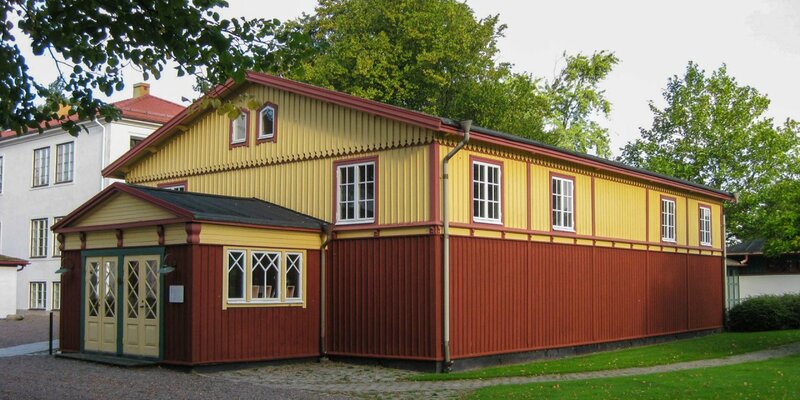 Flyinge Kungsgård is one of the oldest stud farms in the world whose origins date back to the early 12th century. The farm is located about 15 kilometers north-east of Lund and is one of the first addresses for horse breeding and equestrian sports in Sweden. 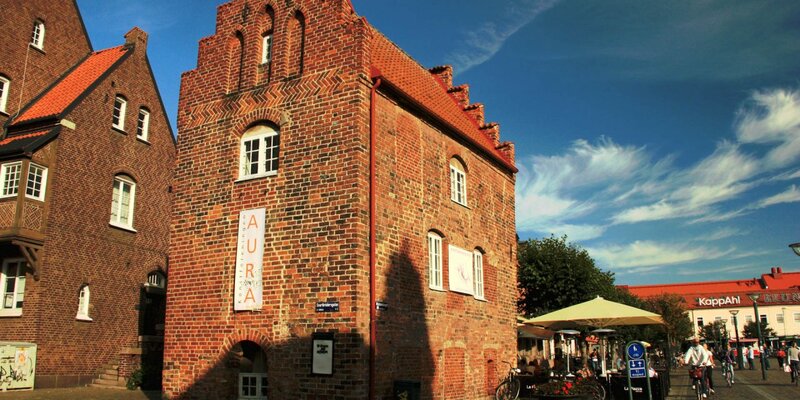 You can walk freely between the historical buildings and visit the extensive stables and the large riding hall. There are about 200 horses on Flyinge Kungsgård, including many competition winners. The stud farm is not only one of the three national bases for horse breeding, education and training of horses, but also one of the largest organizers of equestrian sports event in Skåne. During the summer months, a guided tour of the stud farm including the associated carriage museum takes place every Saturday in July and August. As part of the guided tour, you will also learn a lot of interesting details, stories and anecdotes from the centuries-old history of the stud farm. Another highlight, which has now become famous, can be observed in the summer months on the roofs of Flyinge Kungsgård. For centuries, wild storks have been nesting here, which is not particularly unusual – but the high population, which has grown to around 50 animals in recent years, is exceptional. 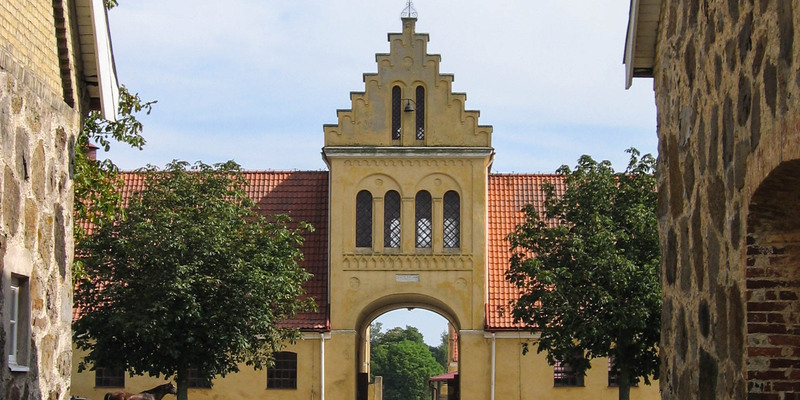 The estate Flyinge is owned by the archbishops of Lund and is engaged in the breeding of saddle and draft horses for the archiepiscopal army. During the Reformation, the estate is first taken by the Danish Crown and then comes into the possession of Danish nobility families. 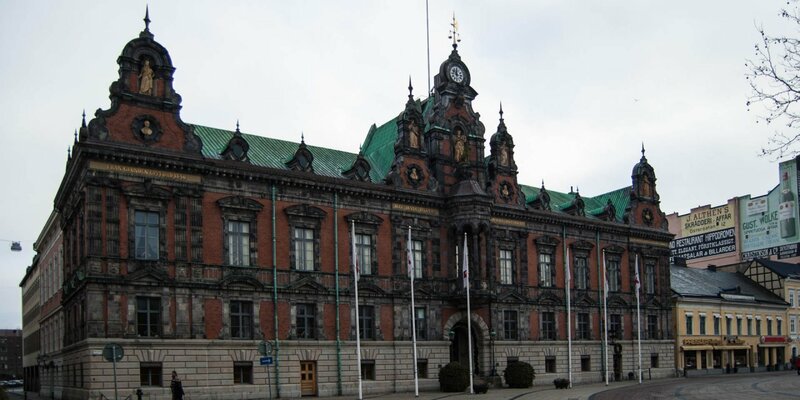 In exchange for the island of Bornholm, Flyinge and several other estates in Skåne getting owned by the Swedish state. Flyinge becomes state property (Kungsgård) and national stud farm, which deals with the breeding and training of horses for the Swedish cavalry. The crossing of Swedish country breeds succeeds with the breeding of the new horse breed "Swedish Warmblood". Originally bred as a cavalry horse with above-average characteristics, the breed is today regarded as a versatile sport horse. The stud farm is owned by the Flyinge Foundation, which is managed by the largest breeding and equestrian sports associations in Sweden.